Over the past few months since coming back from Burning Man, I reflect on the my experiences on the playa. One moment that sticks out in my head is when I met this girl who was lounging around the communal area of our camp. I chatted with her for a bit. She told me where she was from and what she does in the default world. 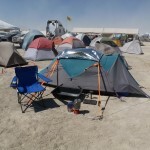 Then we talked about our first timer experiences and adventures at Burning Man. Halfway through the conversation she pauses for a moment, then tells me that she’s usually shy and has a hard time talking to people whom she doesn’t know. I was baffled because I would have never guessed. She actually initiated our conversation after saying hi. She told me she felt comfortable opening up to others at Burning Man. 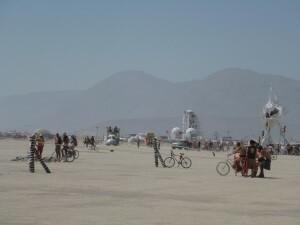 The environment on the playa allows one to be their authentic self without fear of judgement. Then she asked me for my email address and phone number. In her black notebook, I wrote down my contact information. I told her to keep in touch after the burn. We parted ways. I was so happy for her because she was transforming her shyness to be herself without fear of judgement. It’s been over a few months and I haven’t heard from her. I don’t think I ever will, but I think about her and her journey to personal awesomeness. Cool post :). It’s great to hear about people overcoming there shyness. Myself I am generally pretty shy and wouldnt go up to random people and talk to them especially not girls :P. It’s amazing how much that is changing since I started traveling and staying in hostels. Brendon recently posted…7 Days on the Road! Thank you. 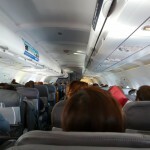 When traveling solo we have no choice but to talk to people. We grow so much through the journey. Check out this entertaining book called The Game by Neil Strauss. Some love it or hate the book. This is a really inspiring post. Solo travel has to be the best cure for shyness – you literally have no option but to man up and open up to people. It can be nerve wracking but the more you do it the more natural it becomes. Just shows that travel really does change people for the better. Thank you. Someone facing their fears to overcome shyness when traveling is like jumping into the deep end of the pool and learning how to swim.